Anyone involved in responding to RFPs knows the process can be exhausting. But even knowing that, if you added up all the hours you and your team are spending responding to RFPs, the numbers might shock you. And you starting thinking…maybe it’s due time to choose RFP software. The average team can spend up to 80 hours on a single RFP. Since the chance of winning an RFP is less than 5%, it’s common for businesses to stop putting the effort into responding to save valuable resources for other priorities. 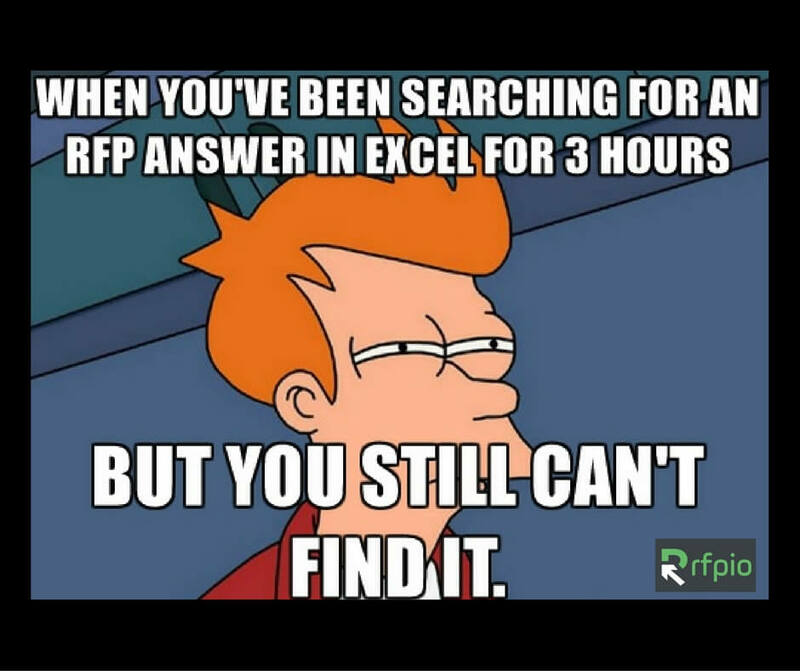 If this is a problem you are trying to solve, an RFP management solution may already be on your radar. This is a great place to start when you want to improve your RFP response process and see a better return. So, here are 3 simple steps to help you find the RFP automation software that’s right for you. In case you haven’t added up the hours you and your team have spent on RFPs, now is the time to start tracking. If your company doesn’t use an internal time tracking tool, there are plenty of free options available, such as Toggle, that help you understand exactly how many hours are being spent on projects. Armed with data, you can deliver facts instead of relying on emotions. Saying you don’t have time to manage RFPs is one thing. Showing that you don’t have time will support your cause when you need an increased budget to cover a tool. Before you sign up for that annual software subscription, schedule a team meeting. You’ve already been rushing deliverables, so now is the time to breathe and make a solid decision. Anyone that works on an RFP, or is involved in decision-making that affects RFP input and output, should discuss what the need is—from the “nice to have” to the “need to have.” There are countless proposal software solutions. Even if you are the project lead, collaborate with your team so you can understand which features will be optimal. If tracking RFP progress among team members is a priority, then you will want an interface with strong dashboards that can show you everything at a glance. If easier team communication is at the top of the list, choose an application that simplifies your routine, using alerts and @-mentioning or an integration with a tool like Slack. Whether you choose a demo or a free trial, a test drive is crucial when you are considering an application that will be used regularly by multiple team members. If you are in a tech role at your company, remember that not everyone on your team is. So, think about user friendliness as you are comparing RFP software tools. The whole point of your quest is to find a tool that will make your team’s lives easier. This is where a trial can be especially important, because you can have multiple team members use the tool and ask them to share feedback about their experience. Another thing to watch out for is the type of support these different solutions are providing. Are they with you every step of the way? Are they available for phone support? Or, is everything automated to a point where you can’t connect with a real human? Automation has its time and place, and when you find a tool that saves you hours and headaches, embracing the right technology can simplify your work life, support your sales efforts, and pave the way for positive changes at your company. We want to hear about your strangest RFP questions!